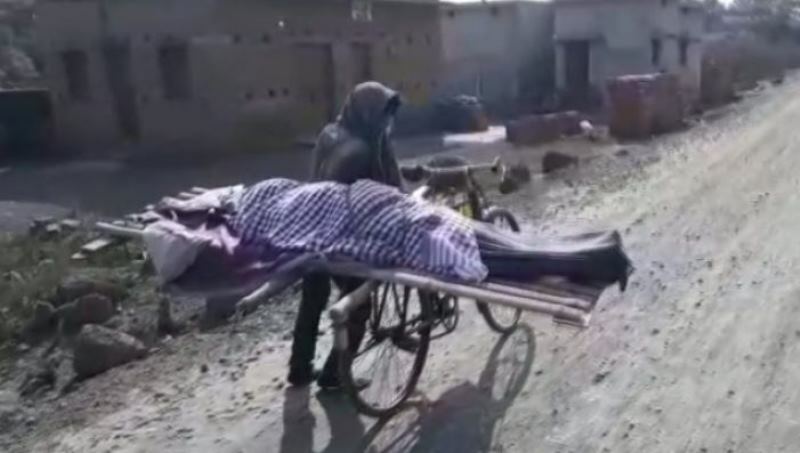 In a shocking incident, a minor boy carried his mother’s body on a bicycle for three-four kilometers after neighbours refuse to help for the funeral over the caste differences. The incident has taken place at Karpabahal village under Lakhanpur Block of Odisha’s Jharsuguda district. According to reports, one Janaki Sinhania (45) died after falling on the ground while she had gone to fetch water. Later, her 17-year-old son Saroj sought help from the neighbours to carry Sihani’s body to the cremation ground for the last rites. However, all of them denied to give a helping hand as the deceased belonged to a lower caste. Finding no means, Saroj carried his mother’s body on a bicycle and said to have buried it in a forest some three to four kilometers away from the village. Janaki had married a man in Sundergarh district ten years ago. However, she was staying in her paternal village along with her son and daughter after her husband’s death.